Tech N9ne’s love of unique and original music is beginning to pave the way for a brand new collaboration between the King Of Darkness and one of dubstep’s most recognizable names. 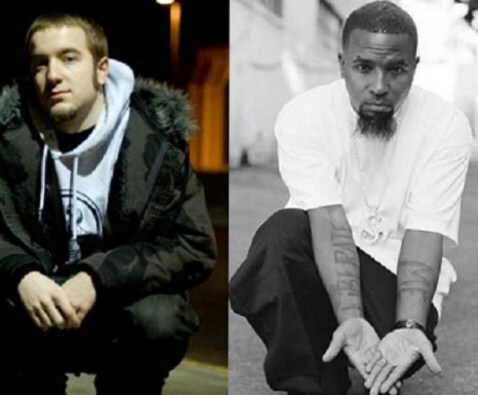 Readers might recall that last week, Excision took to Twitter to reach out to Tech N9ne and extend the offer of collaborating on new music. The public offer had fans on Twitter buzzing as many Technicians have turned out to be fans of the dubstep genre. It looks like those fans will finally hear something new from the two artists as Tech N9ne jumped on Twitter and revealed that after meeting with platinum rock producer Ross Robinson, he will make good on the collaboration. Having worked with bands like Korn, Limp Bizkit, and Slipknot, Ross Robinson has built a career on producing records with the biggest acts in alternative music. Now with Tech N9ne looking to make the collaboration a reality, what role will Ross Robinson play? Stay tuned for more on Tech N9ne and Excision! How do you feel about Tech N9ne and Excision working together? Do you think Ross Robinson will have any involvement?